Chevrolet will again elevate Corvette’s performance capabilities, with a series of improvements for the 2012 model year that increase on-track performance and interior refinement. 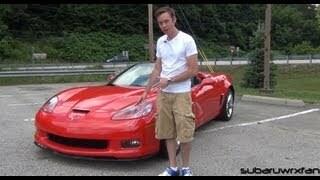 Check out the Chevrolet Corvette 2012 after the jump. Chevrolet will again elevate Corvette’s performance capabilities, with a series of improvements for the 2012 model year that increase on-track performance and interior refinement. They include enhancements to the high-performance Z06 and ZR1 models (see separate releases) as well as interior upgrades across the Corvette lineup. Corvette also celebrates Chevrolet’s performance heritage with the 2012 Chevrolet Centennial Edition Corvette, which features a sleek black color scheme, unique design elements and Corvette’s sports car technology. The special package is inspired by Chevrolet’s racing-bred foundation and is offered on all Corvette models for 2012. Corvette and Grand Sport models are powered by the 430-horsepower (321 kW) LS3 V-8, (436 hp with optional exhaust) while the racing-inspired Corvette Z06 is equipped with the 505-horsepower (377 kW) LS7 engine and built on a lightweight chassis. 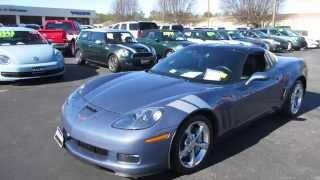 The Corvette ZR1 is powered by a unique, supercharged LS9 6.2L engine, and is the fastest, most powerful car ever offered by Chevrolet. Grand Sport models – offered in coupe and convertible – combine the Corvette’s LS3-based powertrain with wide-body styling, a wider track and a racing-bred suspension for a distinctive model that delivers greater handling performance, with wider wheels and tires; revised shock, stabilizer bar and spring specifications; and specific gearing. Two body styles– coupe and convertible – are available with Corvette and Corvette Grand Sport. Two new exterior colors for 2012:Carlisle Blue Metallic and Carbon Flash Metallic (Chevrolet Centennial edition only). Also offered are Arctic White, Blade Silver Metallic, Inferno Orange Metallic, Velocity Yellow Tintcoat, Torch Red, Supersonic Blue Metallic,Cyber Gray and Crystal Red Tintcoat. Anavailable Heritage packagefor Grand Sport models adds iconic front fender hash marks offered in four colors and seat embroidery. Lightweight, composite body panelsare a technology hallmark of the Corvette. New customer-selectable brake caliper colorsoffered in red, yellow, silver and gray. Wider front and rear fenders– including specific front fenders with integrated Grand Sport badges. Z06-stylefront splitter and tall rear spoiler. Functional brake ductsand extra cooling..
Eighteen-inch front and 19-inch rear wheels; silver-painted standard; competition gray and chrome optional. Large 275/35ZR18 tires in front and 325/30ZR19 tires in the rear. Z06-size brakes, including 14-inch (355 mm) front rotors with six-piston calipers and 13.4-inch (340 mm) rear rotors with four-piston calipers. Specific rear axle ratioon automatic-equipped models. Special badges that signify Chevrolet’s racing history, including a graphic logo featuring an image of Louis Chevrolet on the B-pillars, the wheel center caps and the center of the steering wheel. The historic Corvette crossed flags badge contains a small adaptation, with “100” in place of the traditional fleur-de-lis symbol, only for the Centennial Edition. Unique Centennial Satin Black wheels, sized specifically to the respective Corvette models, including 18-inch/19-inch for Coupe, Convertible and Grand Sport; and 19-inch/20-inch for Z06 and ZR1. Magnetic Selective Ride Controlis standard. Ebony leather-wrapped instrument panel and doorscomplimented by red stitching also on the steering wheel, seats, console and shifter. The seats feature microfiber suede accentson seats, steering wheel, shifter and armrests, which were first used on the 2011 Z06 Carbon Limited Edition. Seat headrests carry an embossed centennial logo. Available on all Corvette models via order code ZLC. Corvette’s interior is inspired by the car’sdual-cockpit heritage. New seats feature improved appearance and larger bolsterson the seat back and cushion areas to provide better driver support, especially in high-performance driving. New steering wheelwith model-specific badges, streamlined switch trim and wrapped spokes. An AM/FM/XM radio with CD player and audio input jack is standard. New Bose Premium audio systemincludes nine speakers (vs. seven in 2011), including new tweeters located in the instrument panel and improved Bose Nd next-generation bass performance. Steering wheel-mounted audio controlsare on all models. SiriusXM Satellite Radiowith a one-year subscription is included with the Bose audio system. An onboard navigation systemwith voice recognition is available. It is a DVD-based system that uses a 6.5-inch (165 mm) color touch-screen display. A custom leather-wrapped interior package is offered on all models,featuring a leather-wrapped upper and lower instrument panel, door pads and seats; choice of exclusive colors: Dark Titanium, Ebony, Cashmere or Sienna, with unique color breakup; padded door panel armrests; “Corvette” embroidered on passenger-side dash pad; embroidered crossed flags logo on headrests and a unique center trim plate with a gunmetal pattern. New Technology Package(2LT trim level) brings together many of the Corvette’s popular infotainment features and makes them available for more models. The content includes the navigation radio, head-up display, Bose Premium audio system, Bluetooth wireless phone connectivity and a USB port. The 6.2L LS3 small-block V-8is the standard engine in Corvette and Grand Sport models. The LS3 is rated at 430 horsepower(321 kW) and 424 lb.-ft. of torque (575 Nm) with the standard exhaust system. An optional dual-mode exhaust systembrings a power rating increase to 436 horses (325 kW) and 428 lb.-ft. (580 Nm). A standard six-speed manual transmissionand an optional six-speed automatic paddle-shift automatic are offered. Launch control is standard on manual-transmission-equipped models. It optimizes performance for full-throttle starts on a track. In competitive mode, the system will hold a predetermined engine speed while the driver pushes the throttle to the floor. That allows the driver to quickly release the clutch and the system modulates engine torque 100 times per second to maximize the available traction. Dry sump lubrication systemon the Grand Sport Manual Coupe LS3. Corvette and Grand Sport models have a hydroformed steel rail backbonestructure. It features cored composite floors, an enclosed center tunnel, rear-mounted transmission and aluminum cockpit structure. Coupe and convertible models offer two suspension choicesthat allow drivers to choose the setup that best suits their driving style. The standard suspension is tuned for a balance of ride comfort and precise handling. The Z16 Performance Package is standard on Grand Sportand includes extra cooling, stiffer springs and stabilizer bars, specific shock absorbers, larger brakes with six-piston front and four-piston rear cross-drilled rotors, specific tires and Z16-specific six-speed manual when ordered with six-speed manual transmission or performance axle ratio with six-speed paddle shift automatic. The optional Magnetic Selective Ride Control suspensionfeatures magneto-rheological dampers able to detect road surfaces, and adjust the damping rates to those surfaces almost instantly for optimal ride control. It includes larger, cross-drilled brake rotors. The Corvette is designed to help drivers avoid crashes, while protecting the occupants in the event a crash occurs. Four standard air bagsinclude side-impact air bags, which provide head protection for outboard passengers in the event of a side-impact or rollover crash. Active Handlingelectronic stability control system helps reduce the risk of rollover crashes by keeping the vehicle in the driver’s intended path by applying throttle, braking or a combination of both. Standard four-wheel-disc brake systemfeaturing smooth, quiet operation, longer pad life and more resistance to brake pulsation. Pretensioners minimize forward movementduring a collision, and are standard on the front safety belts. Load-limiting retractors cinch the belt more tightly. Tire pressure monitoring system and run-flat tiresare standard on all models. Standard remote keyless entry and push-button starting. Strong body structure to absorb crash energyand provide a protective “safety cage” around occupants.